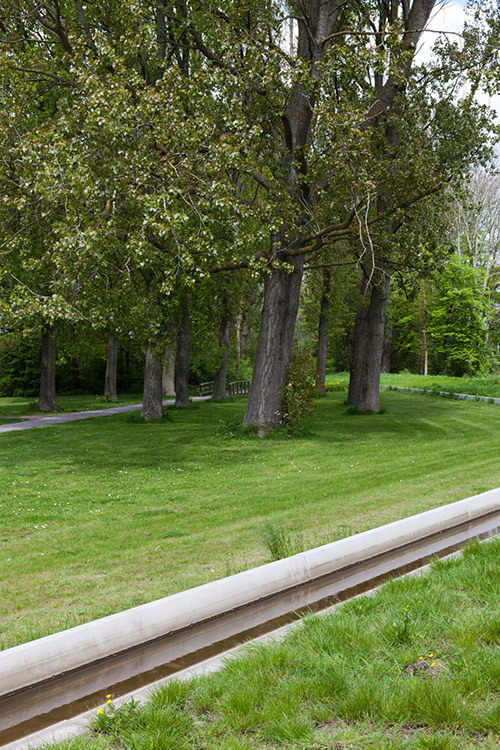 In 1964 the Velser tunnel was constructed, cutting the Wijkeroog Park in half. 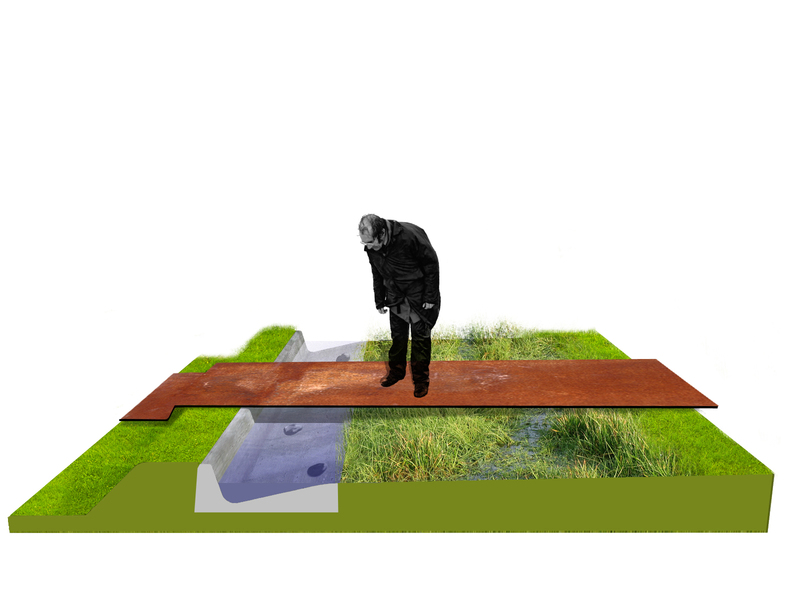 This not only dissected the green area, but also disturbed the soil and the natural water balance. 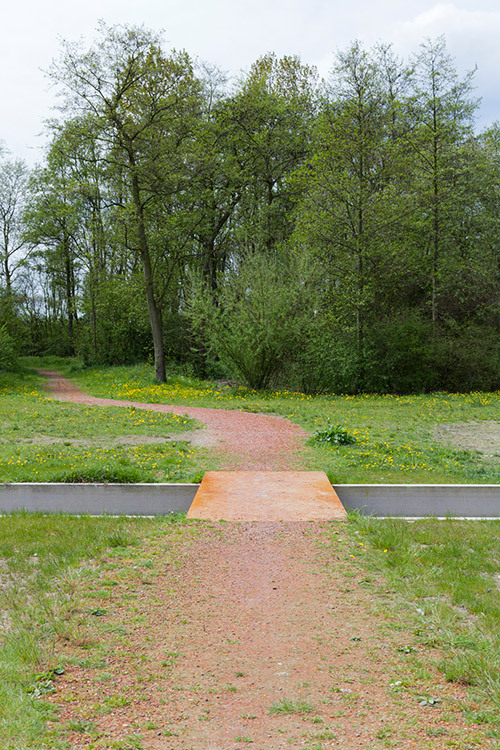 In cooperation with the artist Erick de Lyon, Bureau B+B reconstructed an old creek and designed new connections throughout the park. 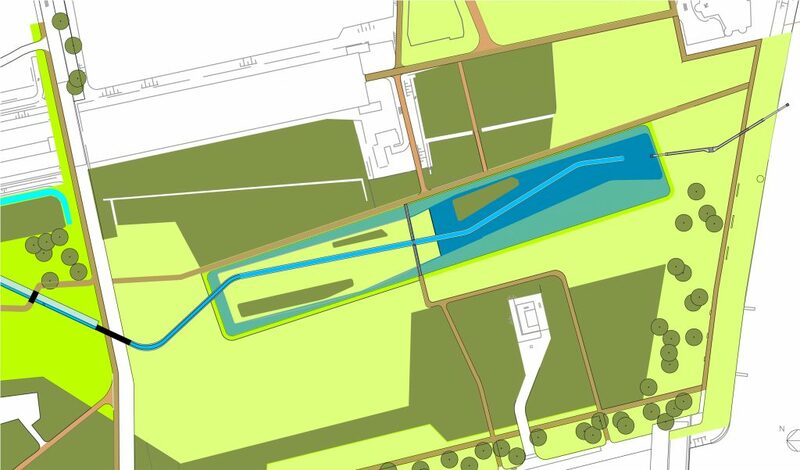 The Scheybeek creek flows from the dunes near Heemskerk, through the Westerhout and Scheybeeck parks, into the North Sea Canal. Until recently, the lower course of the creek was no longer identifiable as a stream. 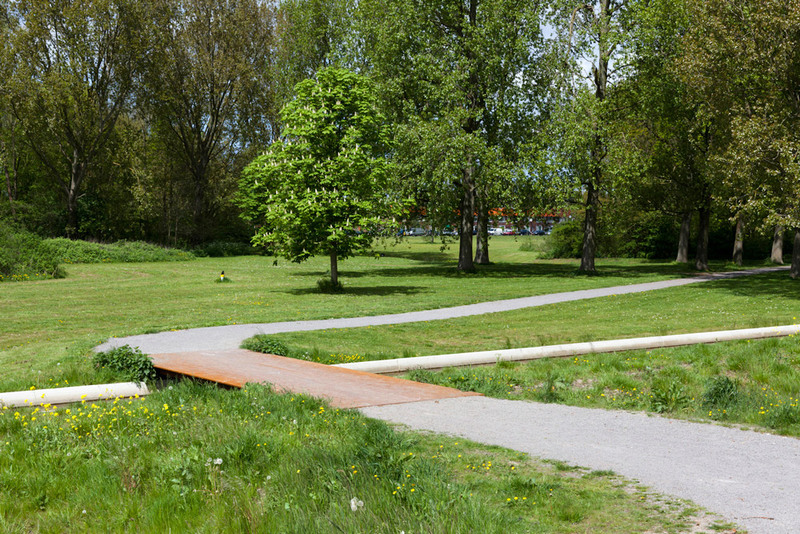 Bureau B+B brought forward this lower course once again in the Wijkeroog park. 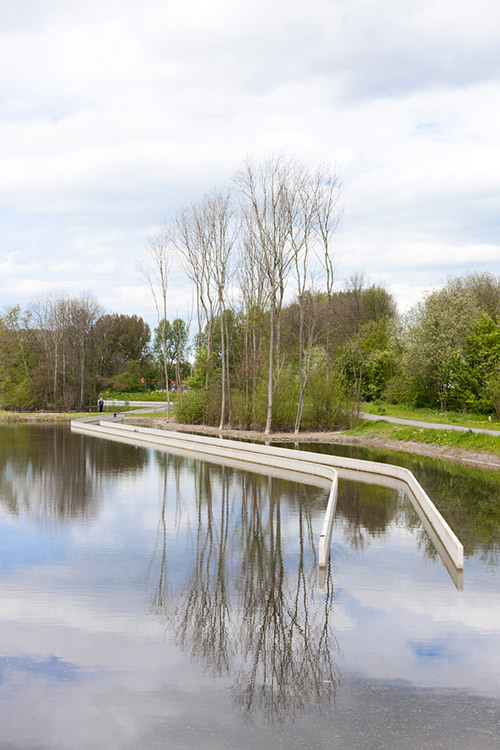 The Scheybeek strings the different parks together and serves as the central theme of the renovated park. Through the middle of the creek runs a concrete gutter, which prevents the creek from running dry during hot summers. 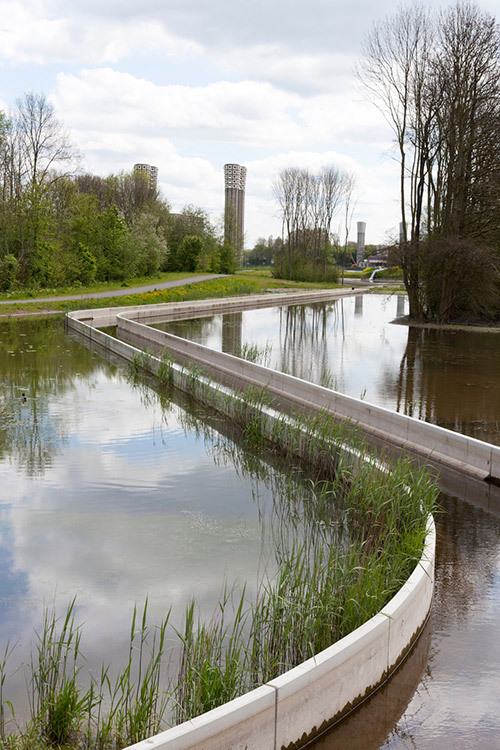 The artificial creek is an autonomous element that structures and connects the Wijkeroog park and simultaneously creates possibilities for nature and recreation. The new creek has natural banks that vary in width. The concrete gutter has a rough surface that catches sediment where micro-organisms can settle. Originally, the Scheybeek was subject to tidal ebbs and flows. 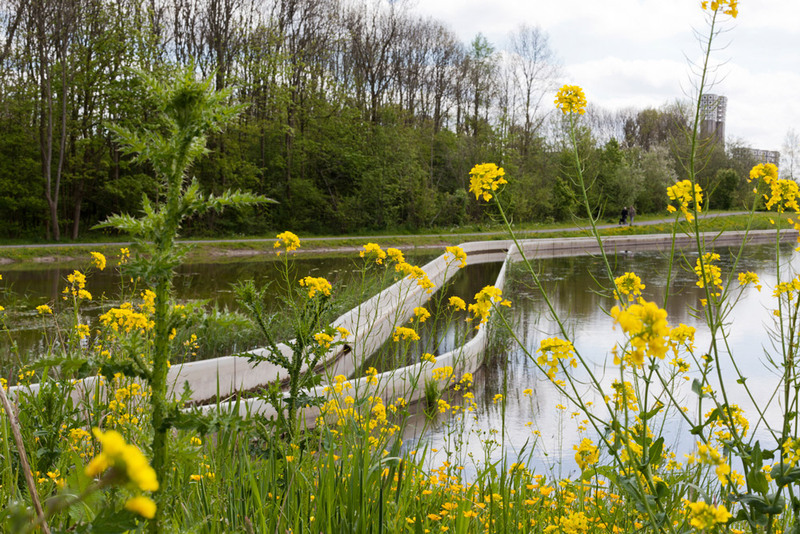 The gradient from fresh to brackish water created an interesting habitat for plants like saltmarsh rush and sea aster and for fish such as the thicklip grey mullet, the sea lamprey and the black goby. 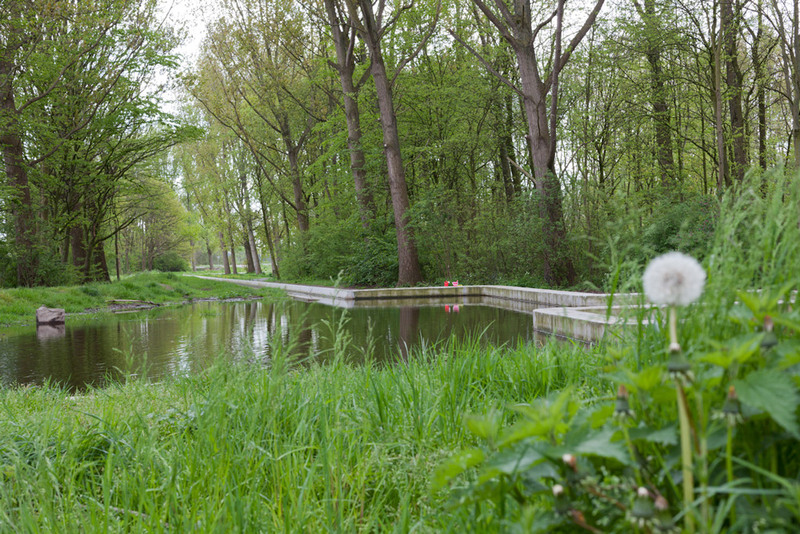 These ecological conditions were repaired in the Wijkeroog Park. At the location where the creek discharges into the North Sea Canal, the fresh creek water flows into a pond, filled with brackish canal water. 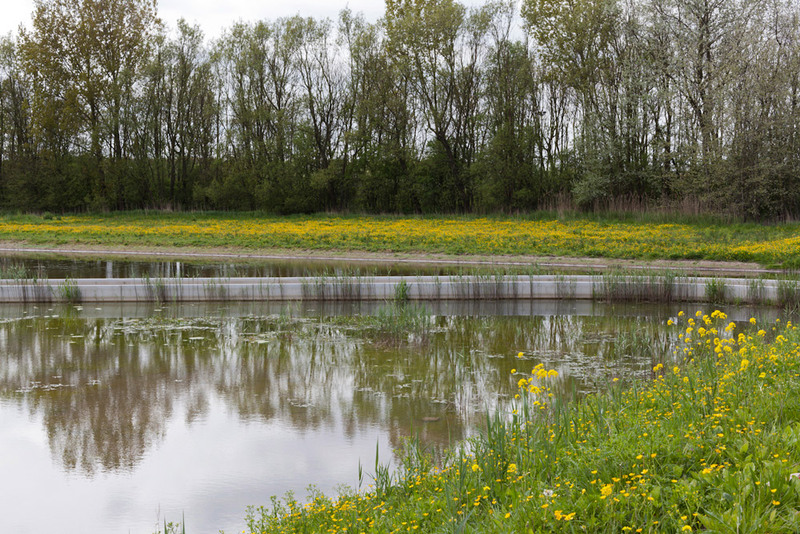 The pond is connected to the canal by a fish siphon. 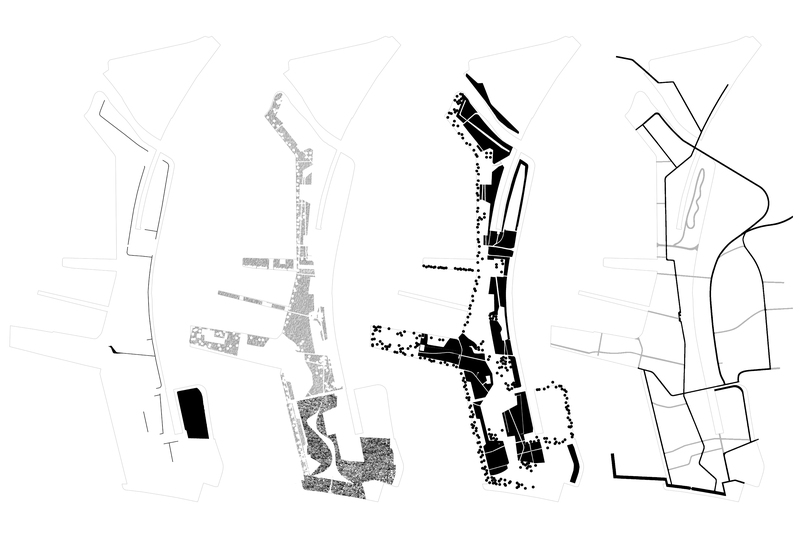 The existing Wijkeroog park is a composition of woodland areas and open spaces. 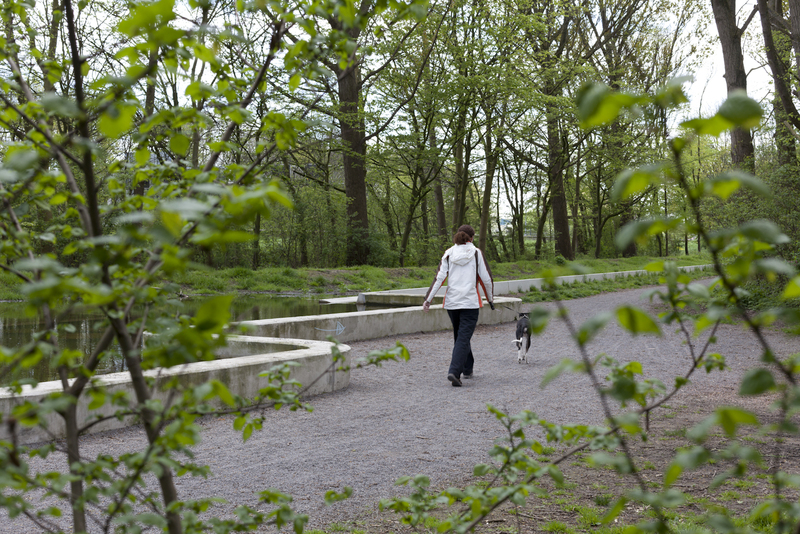 The creek is staged in these park spaces, together with a new pedestrian and bicycle path. At moments the path runs alongside the stream, and then they separate, only to meet again in an unexpected place. The bridges across the creek are metal plates from the nearby steelworks. Life in and around the water can be observed from the low and narrow crossings. The wider parts of the creek are suitable for fishing or paddling. Loose boulders in the creek challenge children to build dams, creating even greater natural variety. The bridges across the creek are metal plates from the nearby steelworks. 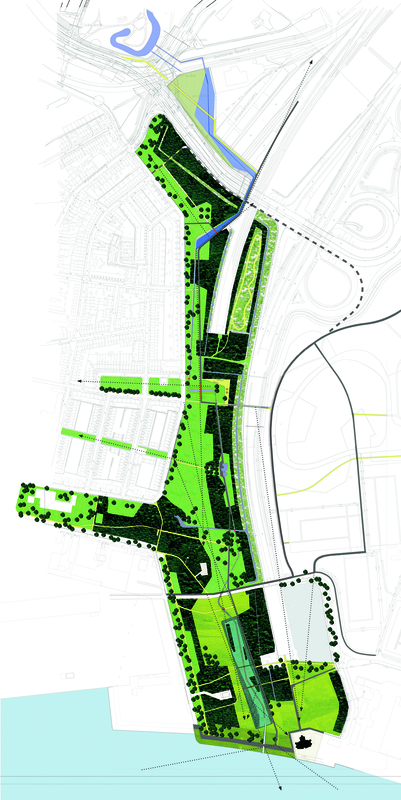 The existing Wijkeroog park is a composition of woodland areas and open spaces. Life in and around the water can be observed from the low and narrow crossings. Through the middle of the creek runs a concrete gutter, that prevents the creek from running dry during hot summers. On the location where the creek discharges into the Noth Sea Canal, the fresh creek water flows into a pond, filled with brackish canal water. The pond is connected with the canal by a fish siphon.